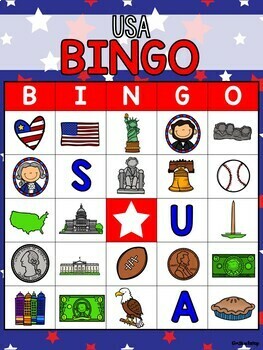 Teach your students about American Symbols while playing a fun Bingo game! 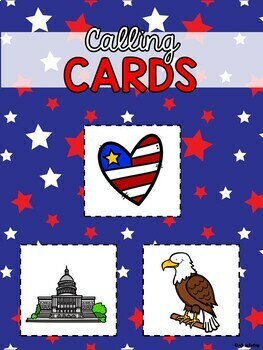 This download includes 5 different full color Bingo cards and 25 different Calling Cards. 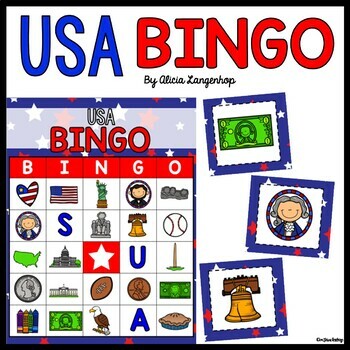 The Bingo cards and calling cards all have matching clip art of different United States Symbols. If you love this product, please leave feedback! 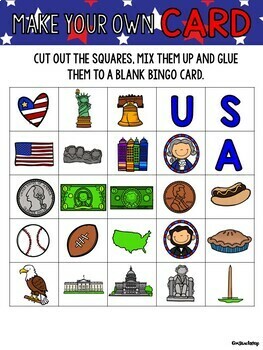 You will earn credit toward future TpT purchases. If you have any questions about this product, feel free to contact me directly at mskinderhop@gmail.com.